Task 1 - Key Words - Copy the key definitions and meanings to the right into you workbook, online portfolio etc. *Note the difference between the Greenhouse Effect & the Enhanced Greenhouse Effect*. Task 2 - Using this PDF document, make a copy of the diagram on the first page and use the text underneath it to make annotated (around the diagram) notes on how the energy budget works and transfers at each stage. *Greenhouse Effect - Process where water vapour, C02, CH4 & CFCs allow SW energy from the sun to pass through the atmposhere and heat up the earth. However some of the resultant LW radiation is trapped leading to a heating of the earth. *Enhanced Greenhouse Effect occurs as a result of increased quantities of greenhouse gasses in the atmosphere owing to human activities and their impact on these fragile atmospheric systems. ​Want to know more about the functioning of the atmposhere and the difference layers? Check out this page full of great information and diagrams from 'The British Geographer' on his site here. 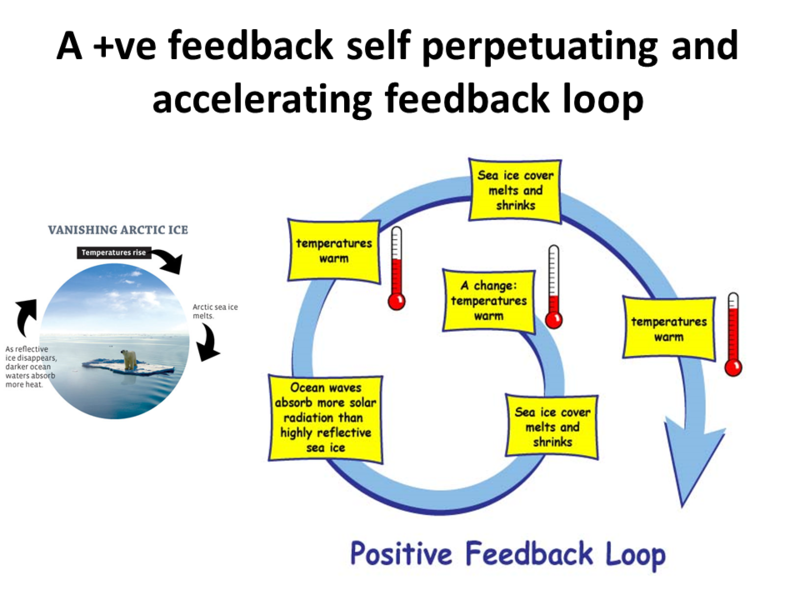 Feedback loops - download this fact sheet to find out more. This image is also useful. Starter: Watch the first video to the right hand side. This is a one minute revision video on the ice albedo feedback. 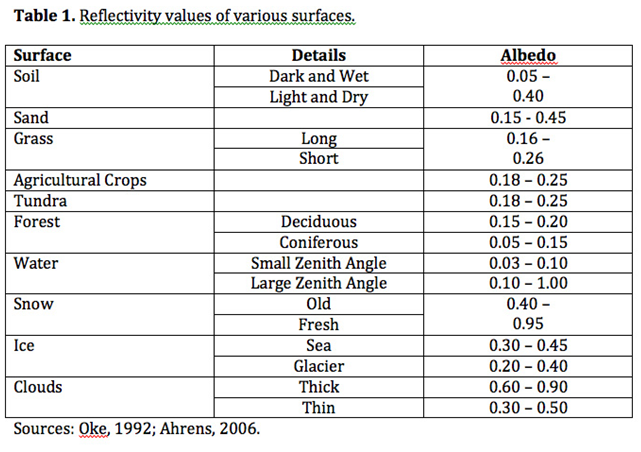 Make a note of the reflective values of ocean water and ice and look carefully at the reflectivity values in the table to the right. Now watch the second video from NASA that models what you have just been told. Task 1 - Using the worksheet below, complete the activities fully. **Check out the snow coverage video from NASA at the bottom of this page and link to Albedo. Task 1 - Conduct some research into sun spots, starting with the video the right and find out how they are linked to the amount of short wave energy that the earth receives. The first video up to 2.25 gives you information on sun spots and the last 1:20 introduces you to our next to topics of study and so is worth watching for the wider picture. 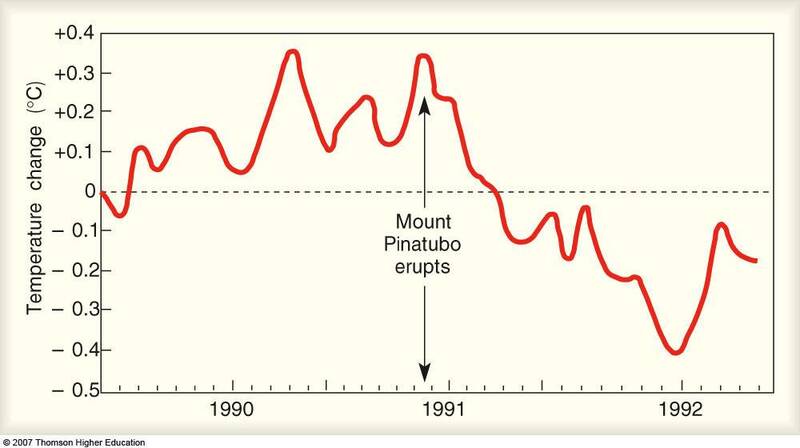 Task 2 - Using the graph (below right), describe the pattern of sunspot activity between 1960 and 2010. Task 4 - Click on this link from the BBC and print out and read the article carefully. The discovery of global dimming can be traced to Gerry Stanhill who was, in the 1950’s, a research worker studying irrigation water requirements. His task was to use climate measurements, in particular those of solar radiation, in order to determine the amount of water crops would require. He collected data for a year and his findings were used to design the national irrigation system. In the 1980s, he decided to repeat his studies to ensure that the data were still valid. He was astonished to find that there was a 22% reduction in sunlight reaching Israel. He knew that this was an enormous amount. Another scholar, Beate Liepert, was making similar observations over the Bavarian Alps. What was happening? Liepert and Stanhill began to independently find similar data from around the world. 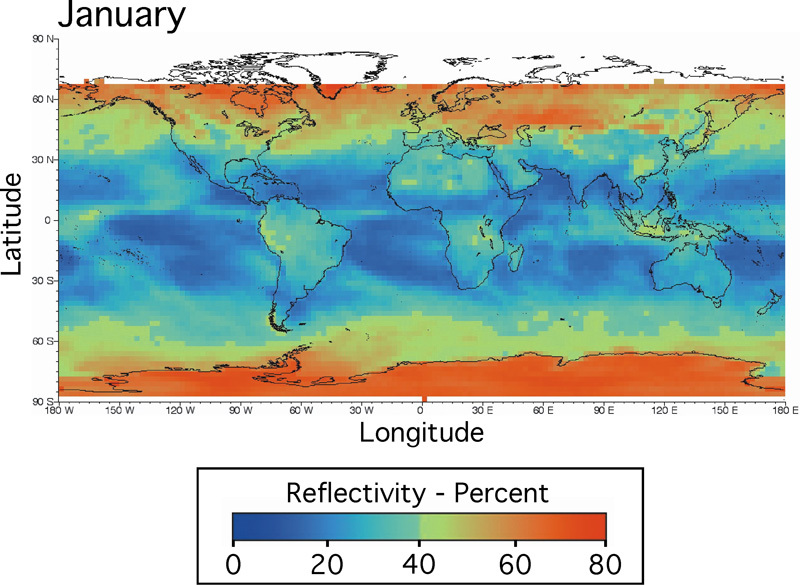 All across the globe the amount of sunlight reaching the earth’s surface had seen a sharp decrease over the years. Between 1950 and 1990, there was a 9% decrease in Antarctica, a 10% decrease in the United States, a 30% decrease in Russia and a 16% drop in the British Isles. Stanhill aptly labeled the phenomenon “global dimming”. It is thought that global dimming is probably due to the increased presence of aerosol particles in the atmosphere caused by human action. Aerosols and other particulates absorb solar energy and reflect sunlight back into space. The pollutants can also become nuclei for cloud droplets. Water droplets in clouds coalesce around the particles. Increased pollution causes more particulates and thereby creates clouds consisting of a greater number of smaller droplets. The smaller droplets make clouds more reflective, so that more incoming sunlight is reflected back into space and less reaches the Earth's surface. This same effect also reflects radiation from below, trapping it in the lower atmosphere (positive feedback). An experiment by Dr. David Travis from the University of Wisconsin on airplane vapor trails provides a foretaste. To find out how big an effect the vapor trails were having on the amount of sunlight reaching the earth’s surface, he would have had to ground all of the planes in the sky on any given day and perform measurements. 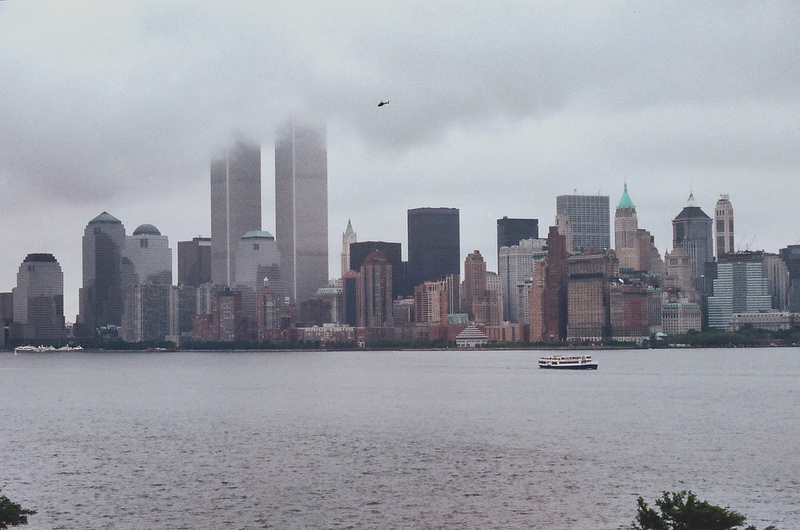 This nationwide landing of all flights never occurred, except for a few days after 9/11. Travis burst into action and gathered temperature range records from weather stations from 48 states. The temperature range, which is the difference between the highest temperature during the day and lowest during the night, changes very slowly. Travis found that during the three days that flights were grounded across the US, there was a marked rise in the air temperature, presumably due to global dimming. During the grounding, the temperature range jumped by over one degree Celsius. It was the single largest temperature spike in the last 30 years. If just the removal of airplanes could cause this much of a temperature swing, scientists are worried that the overall effect of global dimming on world temperatures could be enormous. The levels of global dimming have decreased over central Europe and other parts of the developed world? Task 1 - Why do you think that a reversal in this trend may be occurring in HIC's? 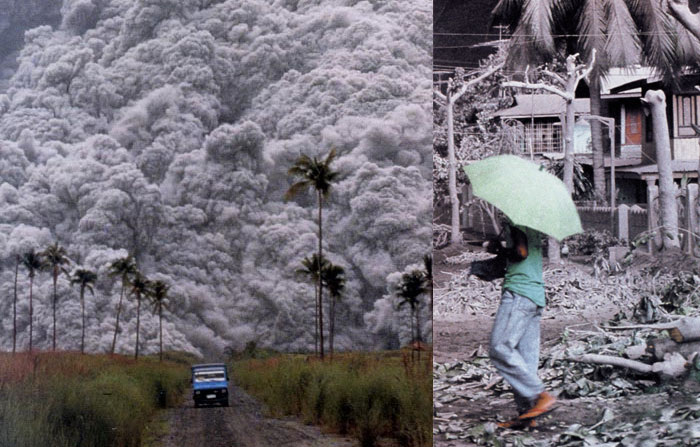 Eruption: 1991 in the Philippines. Familiarise yourself with this specific eruption by clicking on this link. Methane is a chemical compound with the chemical formula CH4 (one atom of carbon and four atoms of hydrogen). It is a group-14 hydride and the simplest alkane, and is the main constituent of natural gas. The relative abundance of methane on Earth makes it an attractive fuel, though capturing and storing it poses challenges due to its gaseous state under normal conditions for temperature and pressure. Task 1 - Read the information above and watch the video to the right. 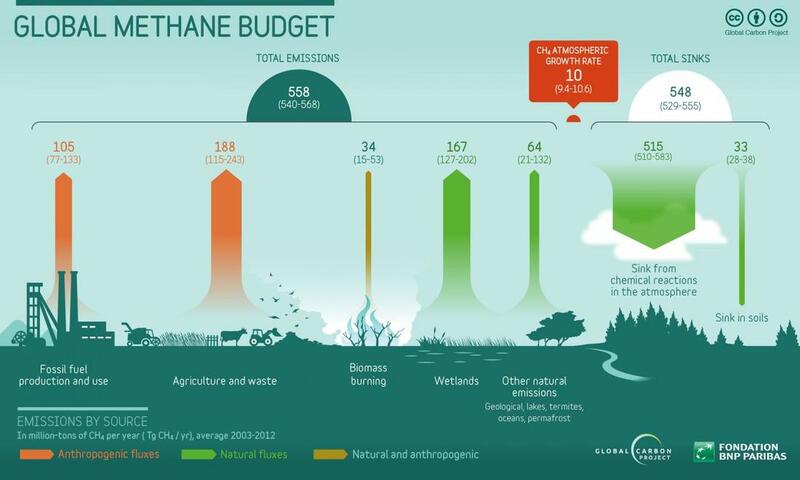 In your own words, explain how methane contributes to global warming via positive feedback. Pay particular attention to its links with ice melt as studied previously. Task 2 - Read this article from New Scientist and then this article from The Independent about methane trapped in glaciers and permafrost and how their melting can lead to a sudden release of methane gas. Summarise the article in less than 100 words. 1. 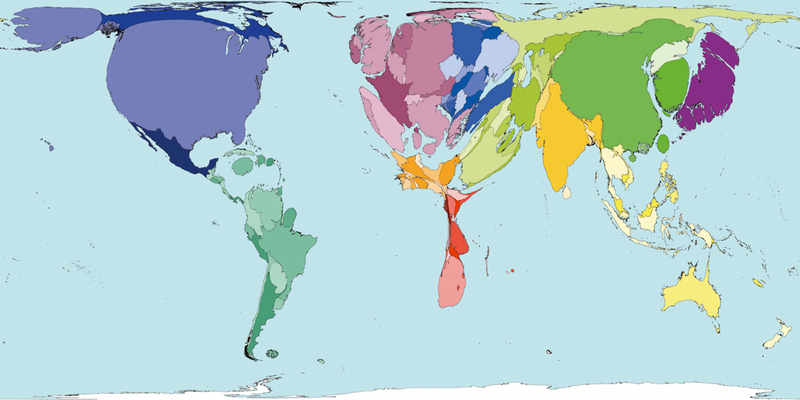 Place - Which countries emit the largest/smallest quantities of C02? Can they be categorised by level of economic development? Are there differences between overall emissions and those per capita? 2. 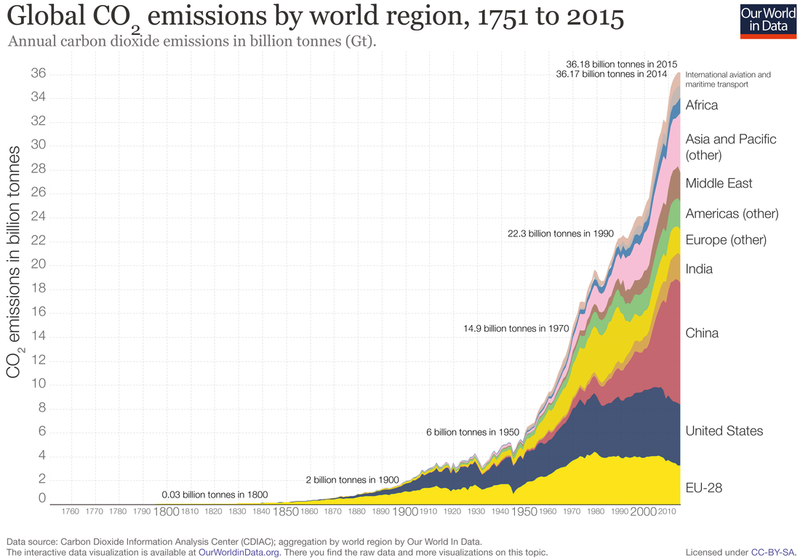 Processes - How are these emissions created? Do the emissions just affect the emitting countries or are there processes in place that disperse the problem? What's the link to the Enhanced Greenhouse Effect? Think globalization & trade. 3. Possibility - Future patterns in emissions and targets (SDG's) to reduce emissions and reduce impacts on MIC's & LIC's. ​4. Power - Those that aim to change these patterns (think SDG's, Climate Change Deals etc) as well as those governments who are promoting economic growth through industrialisation and processes of globalization.